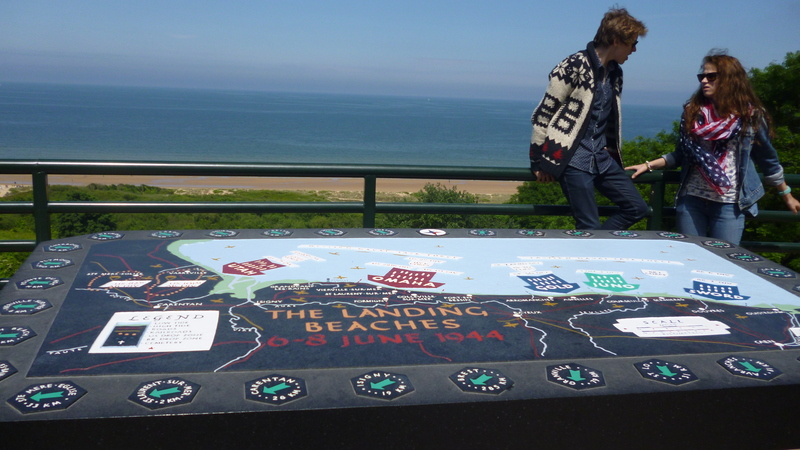 GRNlive correspondent Catherine Field took this pictures in Normandy ahead of the commemorations today (Friday). Shows two people at the Normandy American Cemetery and Memorial in Colleville-sur-Mer, Normandy, France. An official at the French President’s Office said this year’s commemorations have a twin message : to thank the Allies for their role in defeating Nazism and to remind today’s young about the roots of liberty.